Played rugby since under 14 at Jeppe. Got some caps for the Jeppe 1st XV at scrumhalf. Just by coincidence and fell in love with the sport. 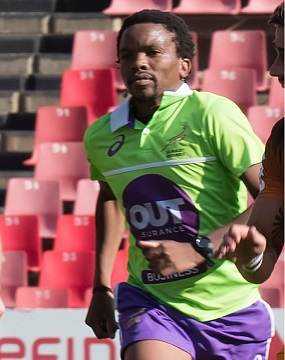 Started refereeing in 2008 in Johannesburg, refereed 15s and 7s. Debuts: Currie Cup Premier 2012, SupeRugby 2016, Test Rugby 2016. Refereeing is a great sport to evolve holistically with lots of travel and adventure.